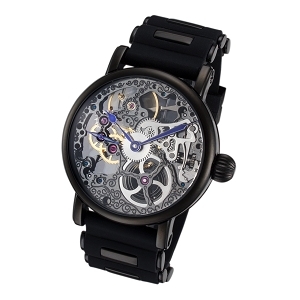 This two time zone, mechanical wind up Rougois skeleton watch is perfect for any occasion. 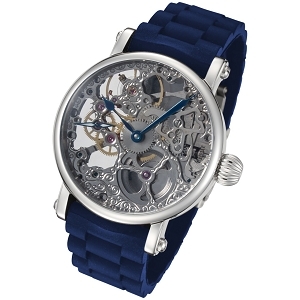 It features a skeleton display with a beautifully designed silver dial with white hour and minute hands surrounded by a blue border which compliments the silver dial to create a very gorgeous, fashionable look. 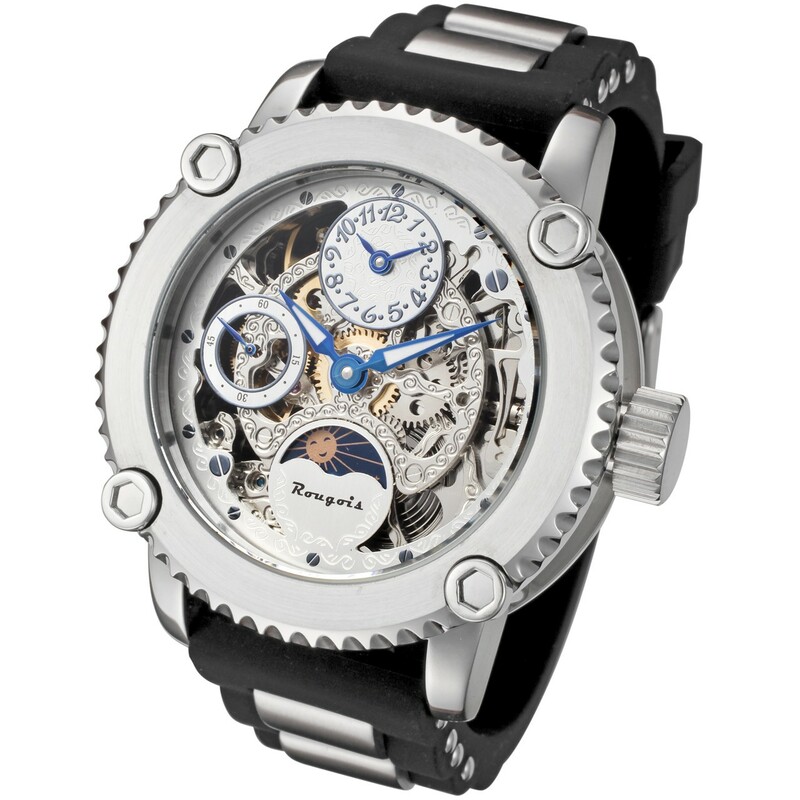 The silver stainless steel case, along with a black silicone band with stainless steel inserts add more beauty to the watch, resulting in a total package that you will be proud to display on your wrist. When not worn on your wrist, or when showing this watch to friends, you can also view and admire the see through exhibition back that displays the decorated jewel movement. 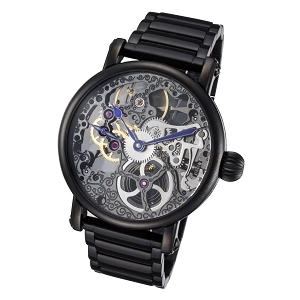 This watch doesn't just look good though. 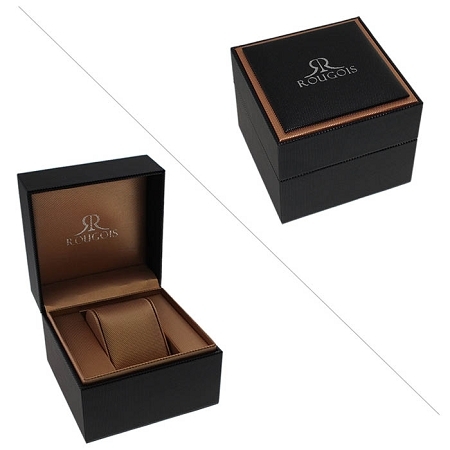 It is also feature packed, with the ability to keep track of time in two time zones, a large stainless steel case, a scratch resistant crystal, a very flexible and durable black silicone rubber band, a day and night indicator. 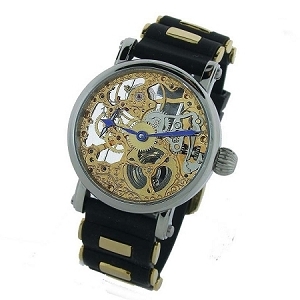 Whether you are going hunting, hiking, to a prom, or a wedding, this watch will be perfect for either occasion, thanks to its beauty and sturdiness.